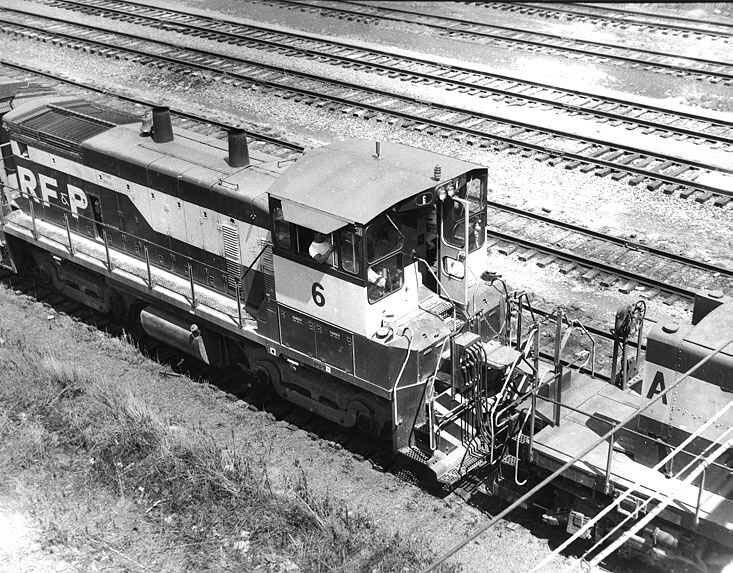 In the late 1960's a friend and myself went on a field trip to Richmond Fredericksburg and Potomac (RF&P) Alexandria Virginia railyard. At the time, we were wandering around yard when a security guard came up an politely said we did not belong in that part of the yard. After some discussion, he was kind enough to give us a "guarded" tour. Usually arrangements have to be made ahead of time and we were very lucky that day. The pictures here are from that tour. The CSX had taken over the RF&P in the early 1990s and the yard is a lot smaller now. The land was sold off to developers (see RF&P vs The Unites States) as is the case with many of yesterday's rail yards. This RF&P yard was the southern most point for the old Pennsylvania Railroad and the overhead concatonary terminated in the middle of the yard at the time of our tour. 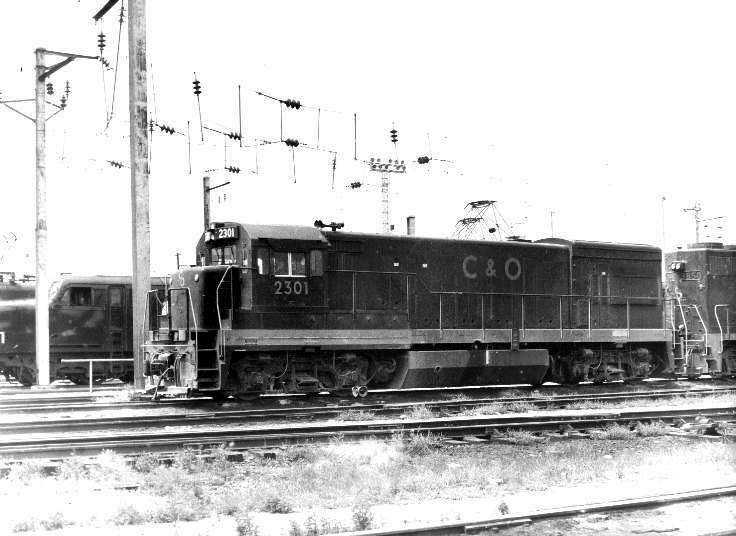 As a consequence, electric locomotives tended to collect in this yard. 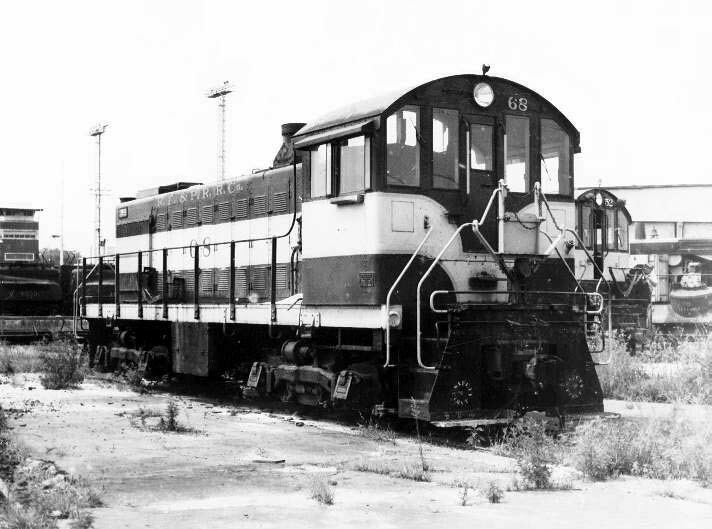 Beside pictures of the GG1, several diesels are also present. 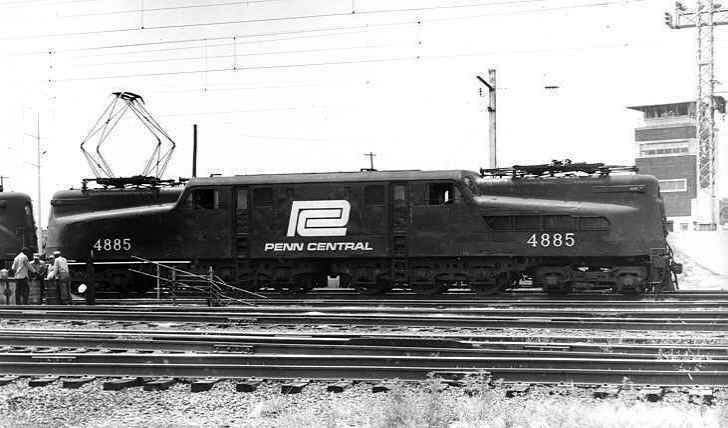 If you look in the background of these images, you might see a GG1 or two.